A new workout foot toy to add to your birds collection!! 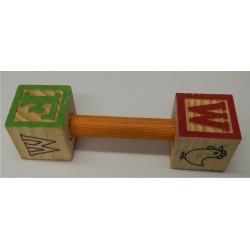 It has two ABC wood blocks attached to a peg. This barbell will get your bird in great shape!! 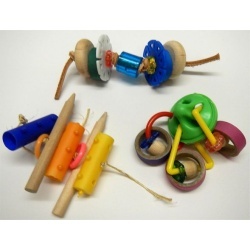 Assorted plastic animal shapes with wooden barrels, plastic keys and beads on each side. Your birds will have loads of fun playing with this toy! Vegetable tanned leather, large plastic beads, bagel bites and corrugated paper is in the center of the chunky bagel bite. Oh my!! Your birds will get quite the workout with this toy! Vegetable tanned leather, wooden circles, bagel bites, bright colored plastic beads and a wooden bail handle as the center piece. Oh my!! 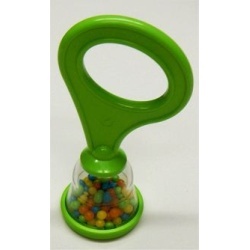 Small bell and ball toy for destroying or toy making in assorted colors. This is a great foot toy!!! 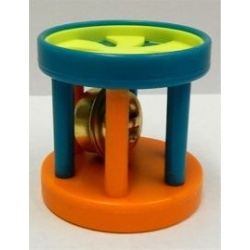 Plastic barrel bell toy for destroying or toy making in assorted colors. 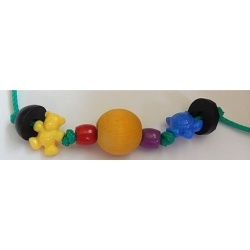 Paulie rope foot toy with colorful plastic animals and beads with a bright solid wood ball in the middle. Your big birds will have loads of fun lifting this toy! Vegetable tanned leather, a wooden beehive bead as the center with round hardwood pieces and bright colored plastic beads and discs. Oh my!! 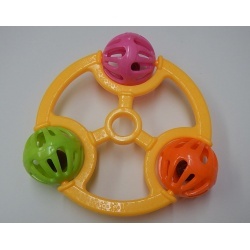 A large pacifier and a knobby heavy duty plastic wheel make up this birdie binkie. A great foot toy for the larger guys. Your bird will love to show off their muscles with this adorable Birdie Barbell!! This has two plastic balls with a bell attached with a plastic base. Lots of fun!! 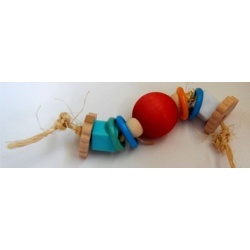 Cotton supreme rope foot toy with plastic discs, pacifiers, square beads, all centered around a solid colorful wooden ball. 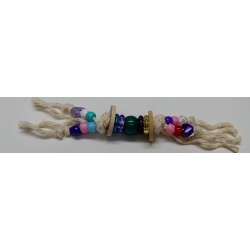 Cotton supreme rope foot toy with plastic beads and wooden circles. Three plastic balls around a plastic disc! Your fid will be dancing with the sounds of this rattle it makes for a great workout!! You can also use this as a toy base the possibilities are endless with this! This is a great foot toy for your playful smaller birds!!! Not recommended for larger birds. 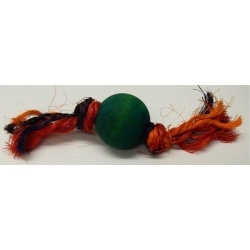 Sisal rope foot toy with a colorful solid wooden ball for the center. 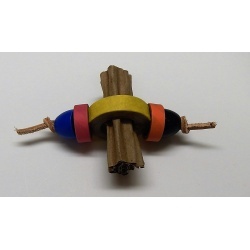 Vegetable tanned leather strips with hard wood block, a porcupine animal and plastic beads. An interesting little foot toy. Small bird foot toy combo! A little bit of everything in this 3 toy selection for hours of enjoyment. 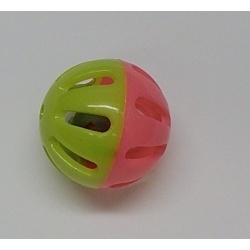 Birdie bites to shred, soft and hardwood, colorful plastic trinkets that will encourage a fun playtime for your birdie. F-23 Hanging Out Package includes 3 Foot Toys!! You will receive one of each of these toys listed!!! 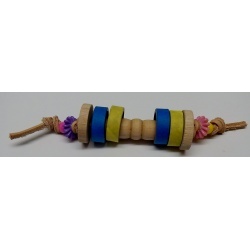 Sisal rope foot toy with wooden beads and hearts, plastic square beads and colorful rings. Pauley rope, wooden large hex block, rings and beads make for a great foot toy.